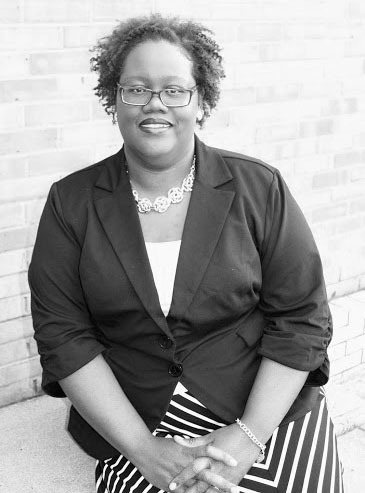 Tara Y. Carter has a Ph.D. in Education (Community College Leadership) from Walden University. She also has a Master of Arts in English from the University of Northern Iowa and a Bachelor of Arts in English from Johnson C. Smith University, a Historically Black College/University located in Charlotte, N.C. In April 2011, she completed her dissertation, “A Change is Gonna Come: Critical Race Theory and African American Community College Faculty Narratives.” Dr. Carter spent more than 13 years as a community college instructor/associate professor in English before assuming administrative/leadership responsibilities. Dr. Carter is in her first month as the new Vice President for Academic and Student Affairs at Southside Virginia Community College. Prior to SVCC, she served as Dean for Mathematics, Physical Sciences, and Technology at Blue Ridge Community College located in Weyers Cave, VA. In that role, she supervised 28 full-time faculty members, 2 lab technicians, and she oversaw the division budget. She was an active member in the college governance structure, serving as a member of the Planning, Curriculum, and Administrative Faculty committees. In the spring of 2013, she was elected as Vice Chair of Academics for the Virginia Community College Systems Council of Deans and Directors. Prior to Blue Ridge, Dr. Carter served for three years as Dean for Arts, Communications, and Social Sciences at Kishwaukee College, located in Malta, IL. In that role, she supervised 22 full-time faculty members, over 60 adjuncts, the Director of the Forensics Team and the Art Gallery Director. Dissertation was nominated for the Association for the Study of Higher Education Bobby Wright Dissertation of the Year in 2011. Founding member of the Kishwaukee College Black Caucus, an organization created to help facilitate the academic and personal success of African American students on campus. In February 2012, Dr. Carter had an abstract of her dissertation, “Toward Understanding the Underrepresentation of African American Community College Faculty” published in the League of Innovation’s Leadership Abstract (http://www.league.org/blog/post.cfm/toward-understanding-the-underrepresentation-of-african-american-faculty-in-community-colleges). Chaired the Diversity Strategic Planning Task Force at Kishwaukee College. The plan is now an integral part of the overall college strategic plan. Served on the Chancellor’s Task Force on Diversity and C0-chaired the committee that created BRCC’s Diversity and Inclusion Plan. Secured funding for BRCC’s GEMS 2 program (Girls Embracing Mechatronic Systems based on Virginia Western’s program) that brings middle school aged girls to campus for a one week intensive introduction to Mechanical and Electrical systems all with the purpose of sparking an interest in the STEM fields. 2013 Alumna of the Higher Education Resource Services (HERS) Bryn Mawr Summer Institute. Since its creation in 1972, HERS has worked with a variety of partners sharing our goals of advancing women's leadership and promoting equity and excellence for all involved in higher education. Thomas Lakin Institute for Mentored Leadership sponsored by the Presidents' Round Table, National Council on Black American Affairs, an affiliate of the American Association of Community Colleges (AACC). The Institute is designed to prepare senior-level executives for positions as community college chief executive officers and has graduated the highest number of African Americans who have gone on to CEO positions over any other leadership institute in the United States. DeKalb Leadership Academy sponsored by the DeKalb, Illinois Chamber of Commerce to develop and cultivate in all participants a passion to serve our community through a dynamic learning experience that encourages self-discovery, fosters relationships, and inspires stewards. Kaleidoscope Leadership Institute sponsored by Coastline Community College designed to celebrate and enhance the achievements of women of color in higher education. Kaleidoscope provided me opportunities to discuss issues facing leaders of educational institutions, to explore the workplace challenges within higher education, to network, and to build skills for success. Community College Leadership Initiative Consortium Programs (CLIC)-Cooperative Program between the Higher Education Program at Iowa State University and Iowa Community College presidents to enhance leadership in the community college. Spring 2013 13th Annual Student Organizations Recognition Banquet. Blue Ridge Community College. Spring 2013, “Packing and UnPacking Your Leadership Suitcase: Practical and Value-Added Leadership Essentials for Today’s Administrative Professional” a 3-hour workshop given at Rappahannock Community College’s 61st Administrative Professionals Day Conference. Spring 2013-“Engaging Students, Engaging Self, and Maintaining Perspective: A Day in the Life of a Community College Employee” a 3-hour workshop given for the Staff Association at Blue Ridge Community College. Fall 2011-“Deans as the Champions of Change: Implementing a Change Leadership Approach” co-presented at the Illinois Council of Community College Administrator’s conference in Decatur, Illinois. The 2011 “Diversity in Higher Education: How to Achieve the “Dream” with Dr. Gregory C. James presented at the Walking the Walk of Diversity Conference at Richland Community College. “Culturally Responsive Pedagogy: Providing Academic Support to Diverse Student Populations” presented at the Harlem School District’s Institute in Rockford, Illinois. This session focused on introducing instructional staff to strategies that create an academic environment that acknowledges and supports diverse student populations. Spring 2008 “Creating a Welcoming Environment” presented at Oakton Community College’s 1st annual Pan African Summit. This discussion focused on highlighting current trends in the recruitment, hiring, and retention of African American faculty, staff and administrators in the community college setting. Fall 2008 Co- presented, “Trends in Hiring and Retaining Underrepresented Groups: Oakton’s Pan African Connection” at the Illinois Council of Community College Administrator’s Conference. Women, Washington, D.C. A stimulating exercise and discussion based on Peggy McIntosh's "Unpacking the Invisible Knapsack." We discussed our perspectives and experiences of becoming aware of privilege or the lack thereof and modeled open, honest, dialogue about race realities.